Try free for 15 days! Monitoring network communications at the host level is no longer enough. That worked fine back when individual services ran on stand-alone machines. For any meaningful analysis today, you need to dig deeper and get network metrics at the process level. 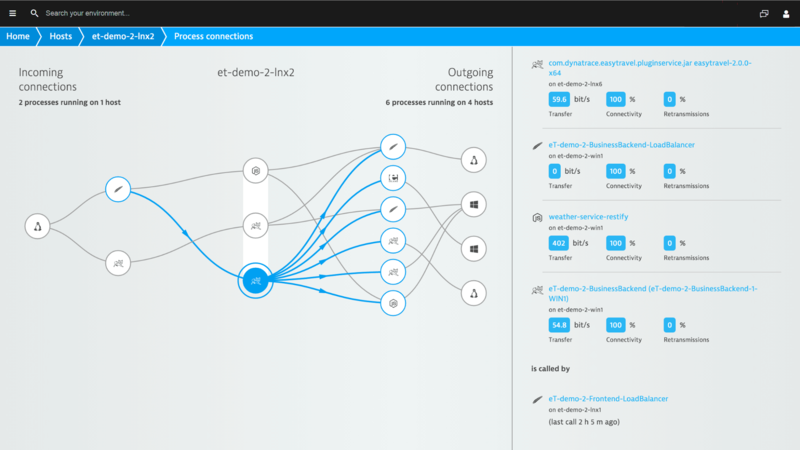 But we don&apos;t stop there—only Dynatrace can go the extra mile and give you detailed metrics about process-to-process communications. Dynatrace is the only monitoring solution that provides metric detail on process-to-process network communications. Watch this video to see it in action. 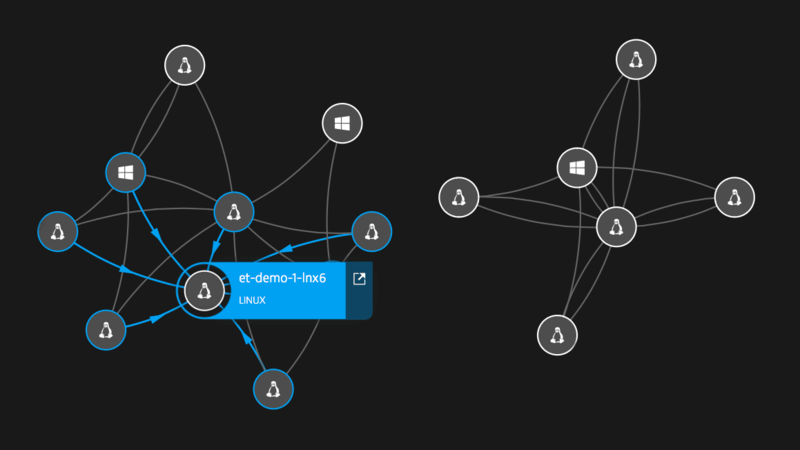 Dynatrace reveals the quality and performance of all network connections between processes in your environment—including processes distributed across virtualized cloud environments and datacenters. 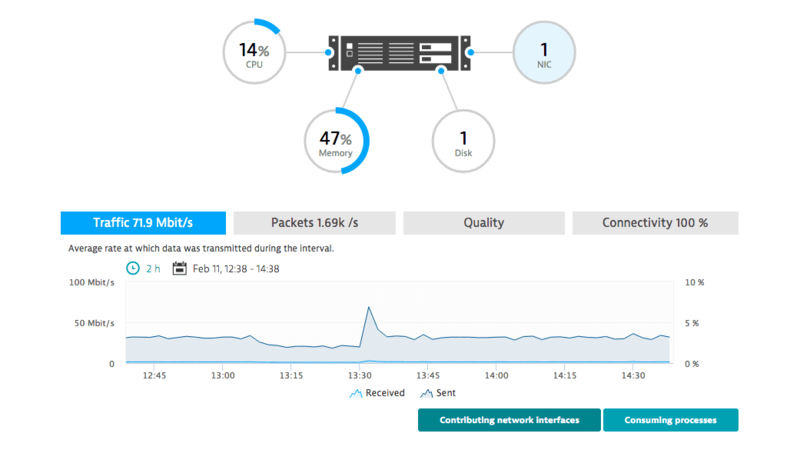 Know which of your services and processes suffer from network connection problems and enable your DevOps to improve the connections between vital infrastructure components. 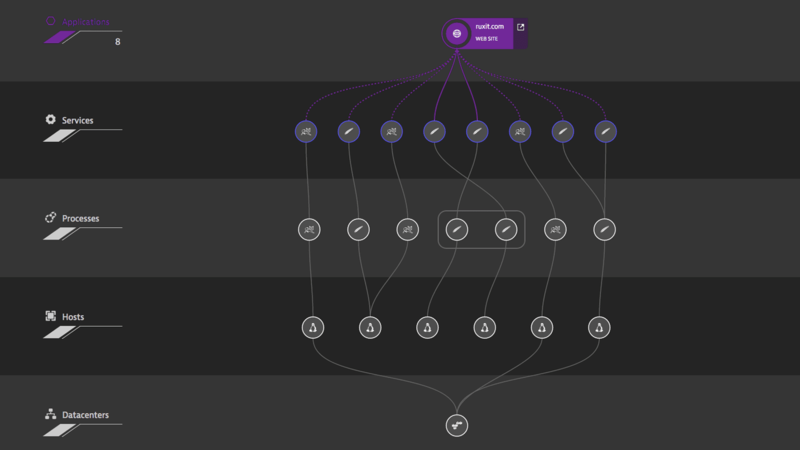 Dynatrace provides a clear picture of all inbound and outbound process connections over your network interfaces (both physical and virtual). Dynatrace gives you a comprehensive overview of your virtualized network infrastructure. You always know the status of your VMs, ESXi hosts, and cloud instances. 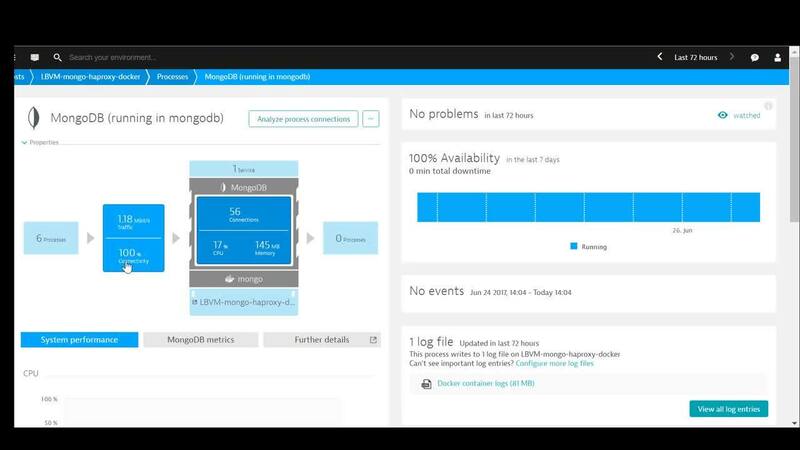 Dynatrace recognizes changes within your infrastructure, and automatically monitors new machines and network interfaces. 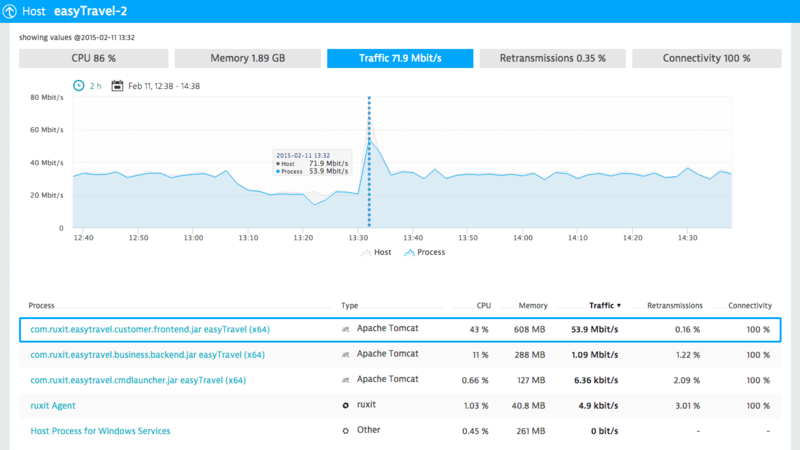 Dynatrace monitors your network traffic on both the host and process level. See which processes consume the most network bandwidth and have connection problems. Gain insights for capacity planning. Resource-intensive processes are easily identified. Dynatrace shows you integrated network health metrics along with all other key machine resource metrics. You see actual data throughput and quality of network connections between communicating hosts and processes. Gain a clear picture of the metrics that really matter: CPU, memory, disk, and network health. All key machine resource metrics are displayed in a single view. Dynatrace’s all-in-one approach seamlessly integrates all kinds of monitoring, from user-experience and application monitoring to server and network monitoring. You see the impact and dependencies of issues across tiers and along your entire stack within a single network monitoring tool. With a real-time map Dynatrace tells you how your components effectively interact with each other and how end-users are impacted by infrastructure problems. Sign up for Dynatrace network monitoring today!